A crisis can hit at any time, and you may fall behind on bills. In fact, you may even find yourself facing guaranteed bankruptcy. That doesn’t mean you have to endure endless calls and countless threatening letters. Below are a few tips that can help you stay sane. The reality is that bad things happen to good people. You may lose a job. Someone in your family may get sick and face expensive, long-term medical bills. There will come a point when you need to make the choice whether to pay a credit card bill, or buy groceries and medicine. Once you’ve made the decision to stop paying those bills Manage Finances, Credit Cards, Loans, and Bills Easily With Check Manage Finances, Credit Cards, Loans, and Bills Easily With Check Check lets you track your cash, keep an eye on investments, and pay bills for free. 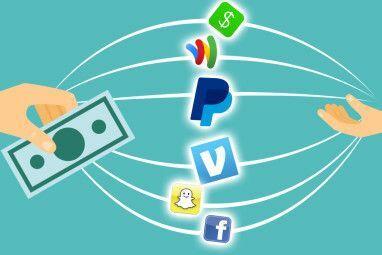 Known as PageOnce earlier, it offers mobile apps and a website to keep an eye on your finances. Read More and head toward filing bankruptcy, a lot of automatic things happen. Many of those things will cause a hell-storm of phone calls and other annoyances to rain down on your household. Thankfully, there are tech solutions that can protect you and your family from that harassment. What Happens When You Stop Paying Bills? The technology behind the debt-collection business is pretty fascinating. Most people who fall behind on their bills assume that there’s a team of debt collection agents just waiting by the phone, dialing your phone number every single day. That’s actually not what’s happening. Many debt collection companies that are hired by large credit card companies and banks to collect outstanding debts often use what are called “robocallers”. These are pre-recorded messages that these companies program into an automated system, which calls hundreds of thousands of people at any given time. The automated voice usually asks the person answering the phone to please call a number back “about a very important business matter”, or something along those lines. The good news is that these almost always come from either one number, or a small cluster of numbers. Sometimes they’ll leave a voicemail. Other times they’ll just hang up. Often, you can call the number back, and it’ll identify the company name – this will let you know it’s a creditor that you need to block. Over time, collect all of these numbers. The next step is to add them to your block list so that even the robocaller system can’t bother you. Depending on your mobile plan, companies like AT&T and Verizon typically allow for up to 5 numbers that you can block without having to pay an extra fee. If you only have a few creditors or debt collection agencies that are after you, that should really be all you need to silence those incessant phone calls. If they’re calling your home phone, you still have a lot of options. If you have a landline, companies usually allow for a similar number of blocked numbers, by using a special code. For example, if Verizon is your provider, you’d type *60 for instructions on blocking. AT&T lets you press *77 to block anonymous or blocked caller ID calls. Contact your provider to find out how you can block calls with your landline. Of course, if you’re already behind on your bills, the odds are you’ve probably cut your landline by now, and may be using a cheaper VoIP solution, like Ooma, Skype Phone How To Use Skype As Your Main Home Phone Line How To Use Skype As Your Main Home Phone Line It's 2013 - stop paying for a land line. If you've got broadband Internet you can set up Skype, pay for a subscription and and keep your total home phone bill under $5 a month... Read More or Google Voice for home phone calling 5 Cool Things You Can Do With Google Voice 5 Cool Things You Can Do With Google Voice Read More . I use Ooma, and with Ooma the blocking options are excellent. You just go into Preferences, click the Blacklists option, and enable call blocking. At the bottom of this screen, you’ll want to type in the numbers you want to block. I use this feature to block annoying telemarketers, poll and survey companies, and various other nuisance callers. Plenty of people have legitimate reasons for not being able to pay bills. Whether job loss or a medical crisis has you shifting money away from credit cards and toward basic life necessities, that doesn’t mean you deserve to get harassed every day, all day. Blocking calls is an amazing, effective way to put a stop to this. This is especially effective if you know you’re headed toward bankruptcy, already talking to a lawyer, and negotiating with creditors won’t do you any good. In that situation, these phone calls really serve no purpose. And once you actually file for bankruptcy, you can disable all of these call blocks, because it’s illegal for them to call you at that point anyway. Another line of attack against you will be email. You’ll receive everything from “notices” that your account is about to be “charged off” and credit bureaus notified, to “amount due” notices in the thousands, as month after month the minimum payments add up, and they pile on all of those late fees and interest charges. It’s ridiculous of course. You are barely lucky to pay the electric bill and buy groceries, and you’ll have several credit cards threatening that if you don’t send them thousands of dollars, you’re in a world of hurt. Of course, if you’re already facing bankruptcy as your final option, these emails are meaningless. Time to block them. First, take a look at the header of the email and identify where that creditor sends their bill notification and reminders from. The correct fields are all filled in for you, with the appropriate email address. All you have to do is change the “move to” field to “Trash”. The same is true with Gmail. At the top of the email, you’ll see a “More” button. Click it, and in the dropdown you’ll see “Filter messages like these”. This will also fill out the incoming email field for you, then on the next screen in the filter wizard, just check off the box next to “delete it”, and you’re done. That’s it. You’ll never see another threatening email from one of your creditors again. 3. Save All Written Letters! What do you do about all of those written letters that arrive in your mailbox, some of which are officially certified and even require your signature? This is simple. When it comes to things you receive in writing from our creditors, save everything. This is because when it comes down to legal issues, such as your bankruptcy case, everything that’s put down on paper is evidence. 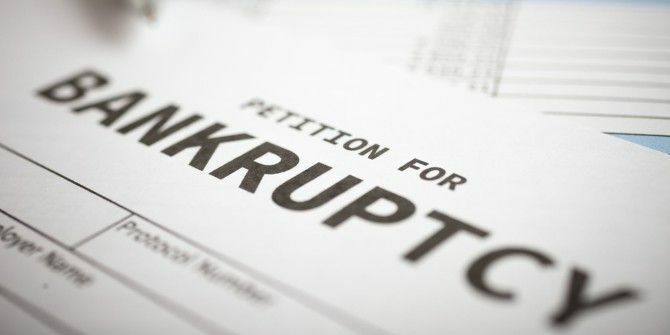 Threats, overcharging on fees, excessive interest charges – all of these things will only bolster your financial case once you are standing in the bankruptcy court. Do you need to save all that paper? Absolutely not – there are plenty of mobile apps you can use that let you scan those letters and store them away in your favorite cloud storage account. One of the best apps that I’ve found to accomplish this quickly and easily is Camscanner, which Angela reviewed before Scan Documents on Your Phone with CamScanner for Android Scan Documents on Your Phone with CamScanner for Android You can use this handy app to scan any document straight from your phone. Read More . It can take a snapshot of the letter above, under moderate to poor light conditions, and then optimize it and convert it into a clear PDF electronic copy of that letter. Once you’v captured and converted the letter, you can then quickly share it out to email, or your favorite cloud drive like Google Drive or Dropbox. This saves you the hassle of having to file away months worth of correspondence. You’ve got all of the electronic copies right at your fingertips, whenever you need it. Other options for this include Doxie Go and Xerox Mobile Doxie Go And Xerox Mobile Wi-Fi Portable Scanners Review And Giveaway Doxie Go And Xerox Mobile Wi-Fi Portable Scanners Review And Giveaway Read More , Scanr How to Use Your Phone As a Scanner with Scanr How to Use Your Phone As a Scanner with Scanr Read More , and of course the various OCR apps we’ve tested The Best iPhone OCR Apps Tested The Best iPhone OCR Apps Tested For those of us dedicated to going paperless, the ability to scan documents and have the text recognized and converted to text is an essential time saver. Read More . Keep in mind that these tools and techniques are intended to completely block debt collectors from harassing you. When you’re through, you won’t receive any phone calls or any emails from the robo-dialers meant to annoy you, or the human agents meant to harass you. This technique is only intended for the situation where you’re 100% guaranteed to file bankruptcy, and there’s no turning around. Maybe you have to wait a few months before you file for some reason – at least you can live in peace during those months. However, if you don’t intend to file bankruptcy, then this isn’t the right approach. You should actually talk to your creditors, explain your change in financial situation, and work with them on a new plan to avoid bankruptcy. Most creditors are more than willing to work out a new plan with you if you are over 4 to 6 months behind on payments. 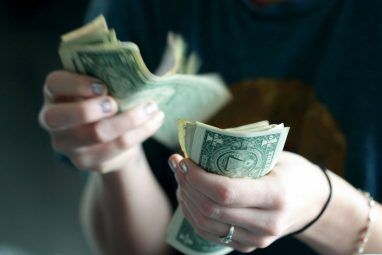 They may even be willing to settle your debt for much less than you owe, if you have a way to obtain that big chunk of cash right away (like from a 401k loan, for example). One thing to keep in mind is that there’s always a solution. Things are never so dire that there’s no way out – you just need to know your options, and then organize your life and your technology in a way so that you can live in peace and have a happy life, regardless of the option you’re forced to choose. And once you’re out of debt, whether it’s through bankruptcy or debt negotiations, make sure to sit down and make that budget Make a Personal Budget on Excel in 4 Easy Steps Make a Personal Budget on Excel in 4 Easy Steps Do you have so much debt that it will take decades to pay off? It's time to make a budget and apply a few Excel tricks to help you pay off your debt sooner. Read More , and stick to it. Have you ever missed many months worth of bills, or were you ever faced with bankruptcy? How did you deal with the regular harassment of debt collectors? Share your own coping tricks with other readers in the comments section below! 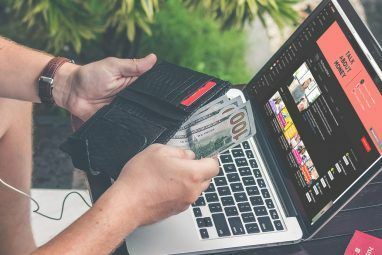 5 Personal Finance YouTube Channels to Help You Manage Your MoneyHow Much Money Are You Worth?